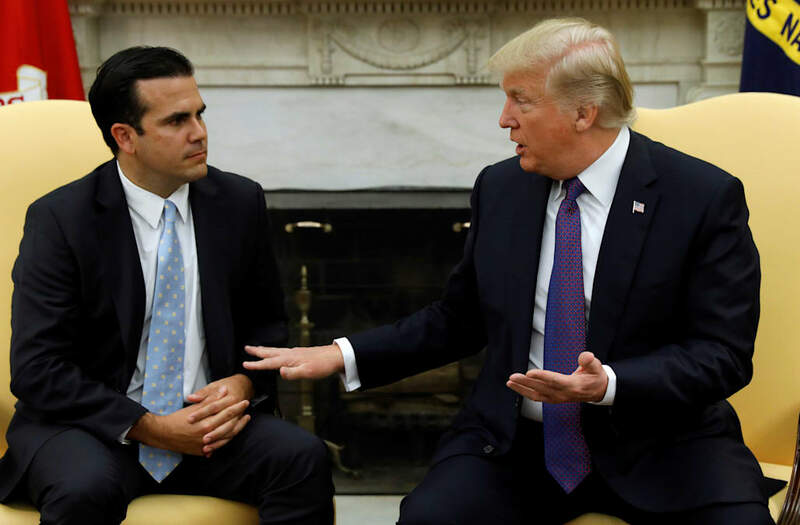 WASHINGTON ― President Donald Trump said Thursday that he’d give himself “a 10,” on a scale of 1 to 10, for how he has responded to Puerto Rico after Hurricane Maria hit the island. The president’s remark conveys a different reality than what’s going on in Puerto Rico, a U.S. territory that is home to 3.4 million Americans. As of Thursday ― more than a month after Hurricane Maria hit ― 30 percent of the island still has no drinking water and 80 percent doesn’t have power. That’s according to government data updated daily, which some volunteer workers on the ground say is inaccurate. They say the situation is far more grim. The president speculated that Hurricane Maria is the worst storm that has ever hit the United States. At least 45 people have died in Puerto Rico since Maria hit. That is nowhere near the roughly 1,833 people who died as a result of Hurricane Katrina.